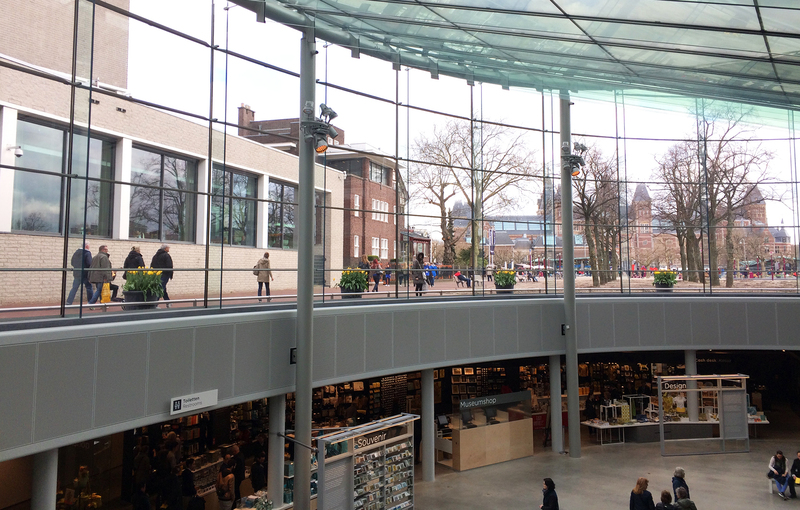 One of the reasons I love the Van Gogh Museum in Amsterdam is that as much as the museum celebrates his art, it’s also an intimate portrait of the artist himself. And after visiting the museum, what surprised me the most is that Vincent van Gogh painted for such a short period of time (roughly 10 years from 1881 to 1890), yet remains one of the most recognizable artists around. 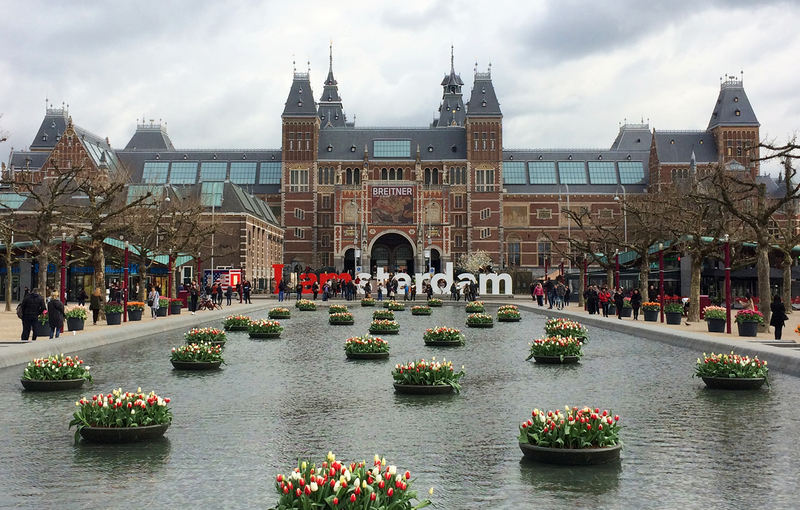 The museum itself is housed in 2 beautiful glass buildings on Museumplein (aka “Museum Square”) where you’ll also find the Rijksmuseum, Stedelijk Museum and the iconic “I amsterdam” sign. 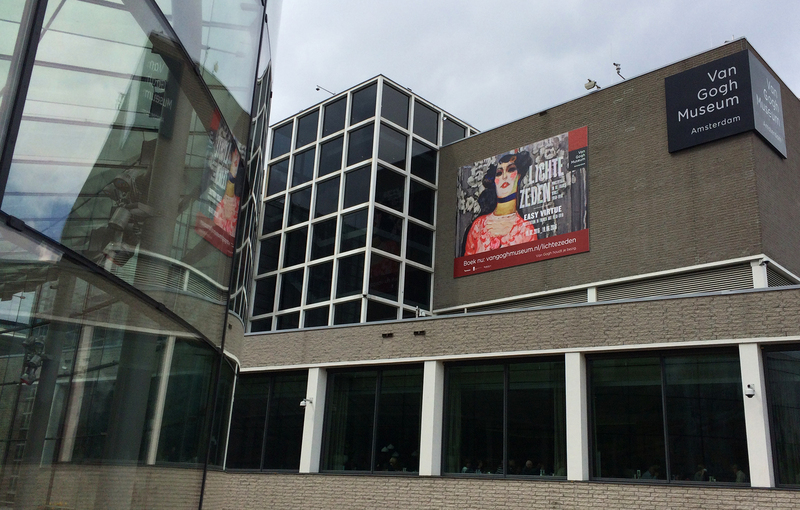 Lines can be long, so it’s definitely another museum where you’ll want to buy your tickets online in advance. If you find yourself stuck in the cue, at the very least take advantage of the free wi-fi and buy a “voucher” for a ticket on the museum’s website. This will cut your wait time down significantly and advance you to a shorter ticket buying line. 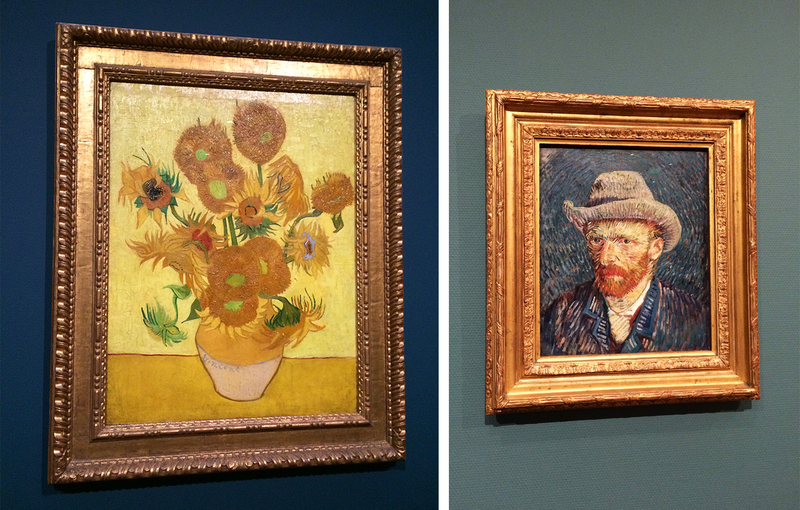 Once inside be prepared to be immersed in Van Gogh’s tumultuous world. What I found most interesting is how his work was a direct reflection of his life, highly influenced by both his geographic surroundings and mental state. Chronologically you’ll see his early works from the Netherlands (dark Dutch potato eaters and realistic portraits), Impressionism in Paris (brighter, colorful and more lively – think sunflowers and self-portraits) and then a dramatic shift when his journey took him to Southern France (cities like Arles and St. Rémy where he was admitted to a mental hospital). The latter period is where Van Gogh’s iconic style is most amplified – swirling lines, vibrant colors and heavy brush strokes wild with emotion (however, if you’ve come with the expectation of seeing Van Gogh’s iconic work The Starry Night it’s not here, rather it’s on display at the Museum of Modern Art in New York City). In 1890 Van Gogh took his own life in a wheat field in France (like the very fields depicted in many of his later paintings), but his legacy lived on thanks to his art dealer brother Theo who championed his work posthumously. 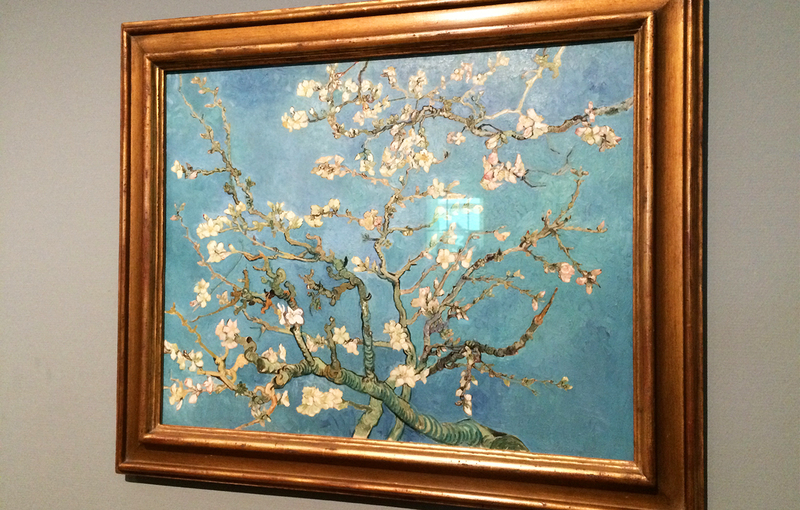 Amidst his madness and loneliness, one of Van Gogh’s final paintings was the cheery blue and white Almond Blossom. He painted it as a gift for his newly born nephew Vincent who eventually oversaw the opening of the Van Gogh Museum in Amsterdam in 1973, bringing the artist’s life story full circle. You paint quite a picture with your words, my friend.